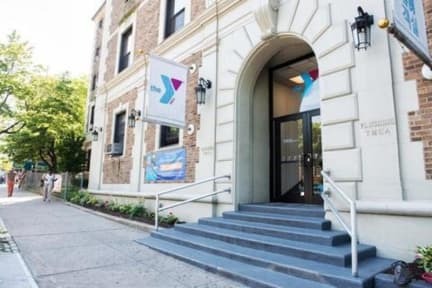 The Flushing YMCA offers 35 guest rooms with single, double, triple, and quadruple occupancy for men and women and is safe, clean and affordable. Double room has one bunk bed. 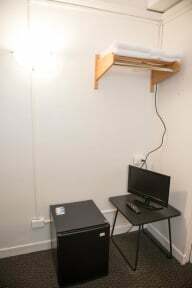 Shared bathroom facilities are conveniently located on each corridor. Daily housekeeping is provided and TV, air conditioning and FREE WiFi are included. There is a swimming pool, a fitness training center, gymnasium, sauna and steam rooms. Guests may use all fitness facilities and there is also 24 hour security for their convenience. Check-in time begins at 3 pm and check out at 11am. Thank you. Staff is very cordial and friendly. HOTEL YMCA IS LOCATED AT FLUSHING. EVERYTHING WAS GOOD. ENJOYED MOST OF THE TIME STAYING THERE. Only stayed because it was close from the La Guardia Airport. The restroom smells awful. The atmosphere is weird, you see people who is staying here that does not look like tourists or people doing a short stay.